Horticultural grade ingredients provide a mix that has the superior water holding capabilities and air space for plant roots. The compost rich formula releases nutrients and feeds plant roots throughout the growing season. Ideal for hanging baskets, bedding plants, deck and patio containers and seed starting. Ideal water retention, aeration and drainage for all types of plants. Horticultural grade ingredients provide a mix that has the superior water holding capabilities and air space for plant roots. The compost rich formula releases nutrients and feeds plant roots throughout the growing season. 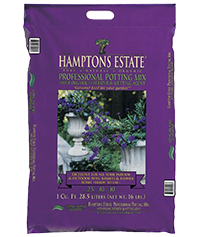 Ideal for hanging baskets, bedding plants, deck and patio containers and seed starting. Ideal water retention, aeration and drainage for all types of plants.